The outfit that will see you through all those warm-weather parties, brunches and weddings ahead. 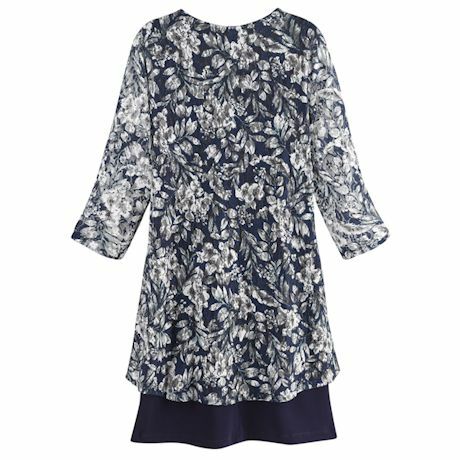 Forgiving fabric lays over your figure with a hem that hits just above your knee; hi-low ¾sleeve jacket is attached to the dress and drapes to just the right length. 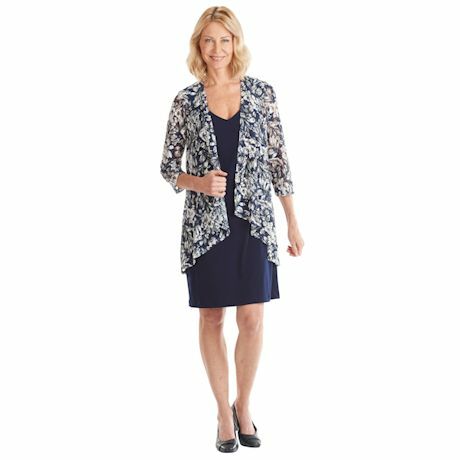 Jacket and dress are 96% polyester/4% spandex blend. Machine wash. Imported. 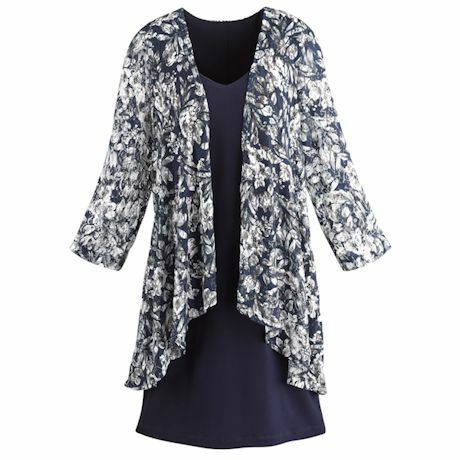 Sizes 6-16, 14W-24W; 37"L dress with 33"L jacket.